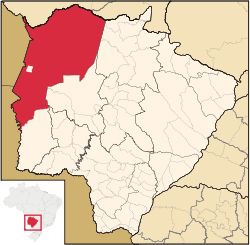 For the mine of the same name and located in the state, see Corumbá (mine). 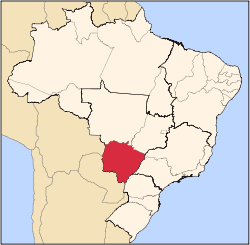 Corumbá Portuguese pronunciation: [koɾũˈba] is a municipality in the Brazilian state of Mato Grosso do Sul, 425 km northwest of Campo Grande, the state's capital. 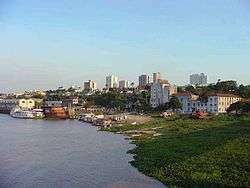 It has a population of approximately 96,000 inhabitants, and its economy is based mainly on agriculture, animal husbandry, mineral extraction, and tourism, being the gateway to the biggest wetlands of the world, the Pantanal. ↑ "Estimativa populacional 2013 IBGE" (PDF). Estimativa populacional 2013. Instituto Brasileiro de Geografia e Estatística (IBGE). 1 July 2013. Retrieved 1 September 2013. 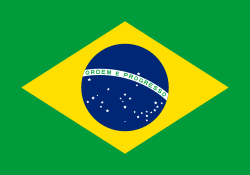 Wikimedia Commons has media related to Corumbá.